Revolt Motors, spearheaded by Micromax co-founder Rahul Sharma, is all set to launch what they claim will be India's first AI-enabled electric motorcycle in June this year. Styled as a sports commuter, the motorcycle is said to be in the final stages of production. Revolt IntelliCorp, as the brand is officially known has laid special emphasis on ensuring the motorcycle looks like conventional, internal engine equipped motorcycles and not quirky or futuristic as is the norm with electric vehicles currently. The company claims the motorcycle will offer between upto 150km of riding range on a single charge. A product presentation video shown to OVERDRIVE confirmed the same, apart from which Revolt also claims the bike will boast an electronically limited top speed of 85kmph and will also have variable power modes. The bike is also expected to offer a sporty feel and boast high equipment levels - Revolt will reveal further details about the motorcycle closer to the date of launch. That said, Revolt has also confirmed that despite its high equipment levels the yet-to-be-named motorcycle will be priced well. Rahul Sharma says he is clear about wanting to ensure "100 percent accessibilty" for the motorcycle for Indians, meaning it want to make sure the bike will be affordable and not be priced too high. A full charge from depletion is expected to take three to four hours from a wall socket. The motorcycle will, according to Revolt, be India's first ever AI-enabled motorcycle though Rahul Sharma refrained from revealing further information about the same. Even more interesting is the fact that the motorcycle will be equipped with a 4G SIM card and will be connected to the internet full-time. So it is safe to assume the bike will also receive OTA (over the air) software updates on a regular basis. In fact, Revolt's idea is to launch a whole ecosystem of connected devices and not just the motorcycle. Details of the electric motorcycle are yet to be revealed but most components will be sourced locally. Cells for the battery pack will be sourced from China, but the battery pack itself will be assembled in house. The bike's ECU and battery management system has been developed in house as well. 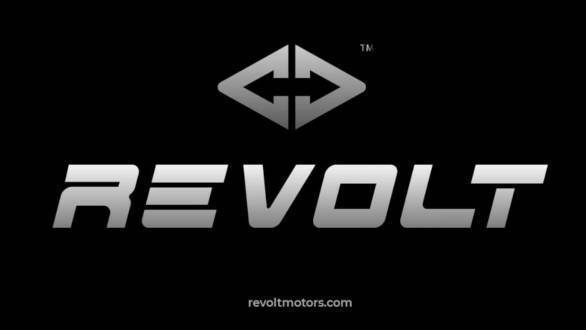 Revolt has a gathered a team of veterans from the automotive industry itself and the team has been working for roughly two years now to develop the motorcycle. Dynamic testing has also been done in-house. The motorcycle will be assembled at Revolt's new facility that has been set up at Manesar near Gurgaon in Haryana. It is also interesting to note that Manesar is a huge industrial zone and is home to automotive manufacturers like Maruti Suzuki and Triumph to name a few, apart from a whole lot of component makers. In its first phase, Revolt's Manesar facility will boast a production capacity of 1,20,000 units annually. The bike will be sold through online and offline channels both, though Rahul Sharma has hinted that the company will focus heavily on online sales channels, which indicates to an inspiration from Tesla. Another interesting thing to note is that Revolt claims the bike will be equipped with innovative battery charging solutions including swappable batteries and the possibility of wireless charging cannot be ruled out either. We can tell you that the batteries are part of the frame as an unstressed member and that the motorcycle has upside-down forks up front and a monoshock at the rear, along with a box-section swingarm. The bike will also come equipped with hydraulic disc brakes at both ends along with a combined braking system. It will have a full TFT-display dashboard with smartphone integration for telephones and media. Further, Revolt Motors is also developing full integration with a bespoke helmet, which will offer navigation and telephony. All said and done, Revolt Motors is sure to raise quite a few eyebrows in the automotive industry, particularly the two-wheeler space with its product. Rahul Sharma tells us he is clear about wanting to disrupt the two-wheeler space, like he did with the Micromax brand in the mobile phone industry.